On Wednesday, Dec. 18 the French defense procurement agency, DGA, took delivery in the United States of the Reaper drone system, consisting of two remotely-piloted aircraft, a ground station and related equipment. 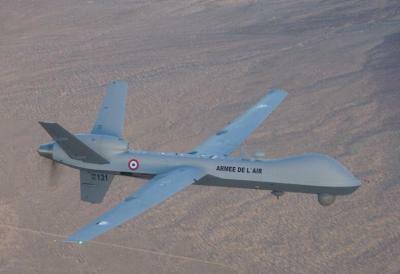 The handover was managed by DGA in cooperation with the US Air Force, the French air force, and representatives of the manufacturer, General Atomics. The system will be very shortly deployed to the Sahel region in Africa. Over the coming months, DGA and the French air force will gradually stand up the system and its support environment as well as implement improvements to technical aspects of intelligence data processing.